Superbly lean, flavoursome pork leg meat, carefully diced by hand. 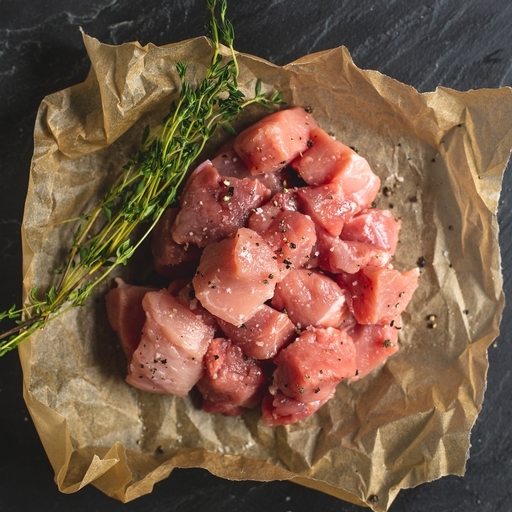 Our organic diced pork makes wonderfully succulent kebabs, spicy curries and rich, creamy casseroles. No need to cook it for very long – it’s naturally tender. Serves 3-4.